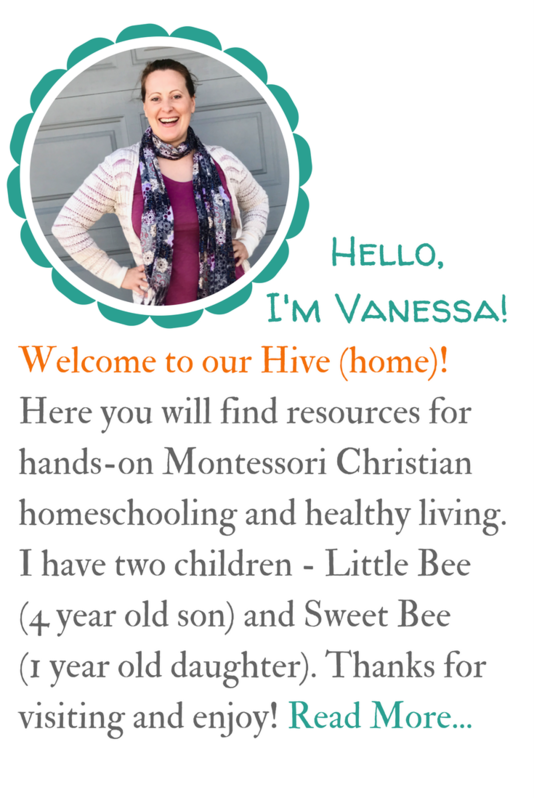 I'm excited to have Corinne Jacob as a guest blogger on Mama's Happy Hive blog. 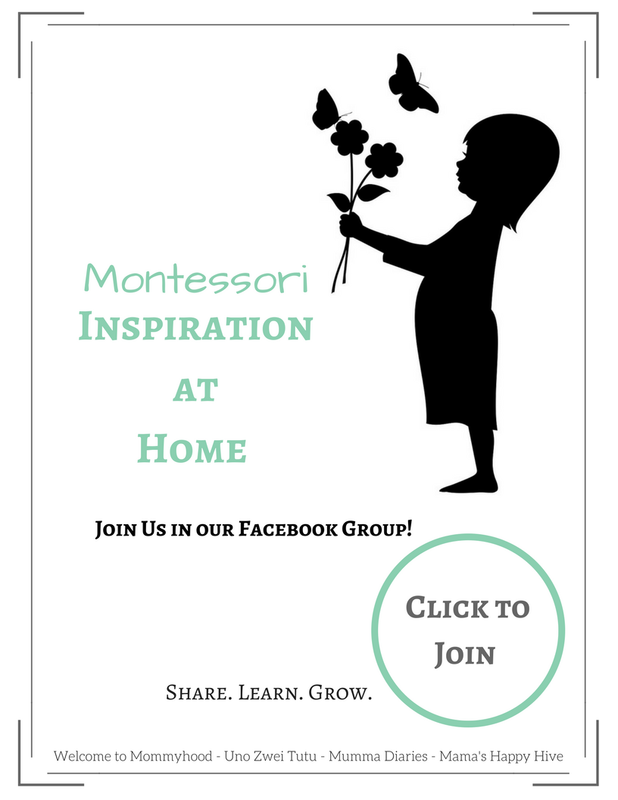 She believes that learning should be fun and has some awesome ideas to share about color learning activities for toddlers. 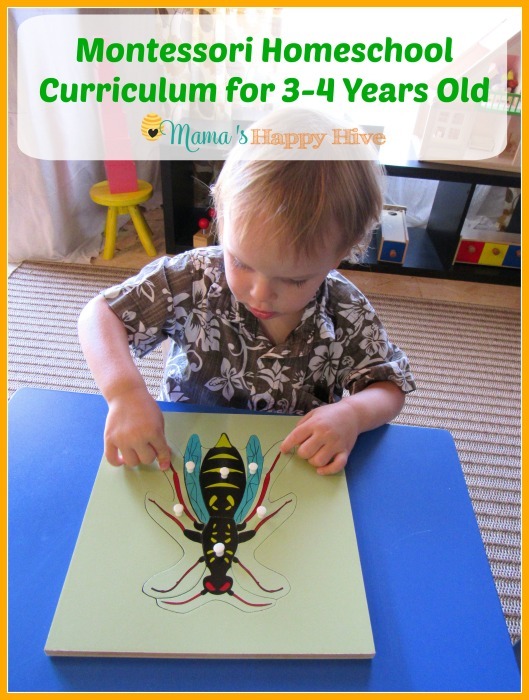 Little Bee and I had a blast with these hands-on color activities! I recently read about a study conducted by the Language Learning Lab at Stanford University – the results were fascinating. The author had spent several years studying language acquisition in toddlers, and found that kids had a particularly hard time learning the names of colors. 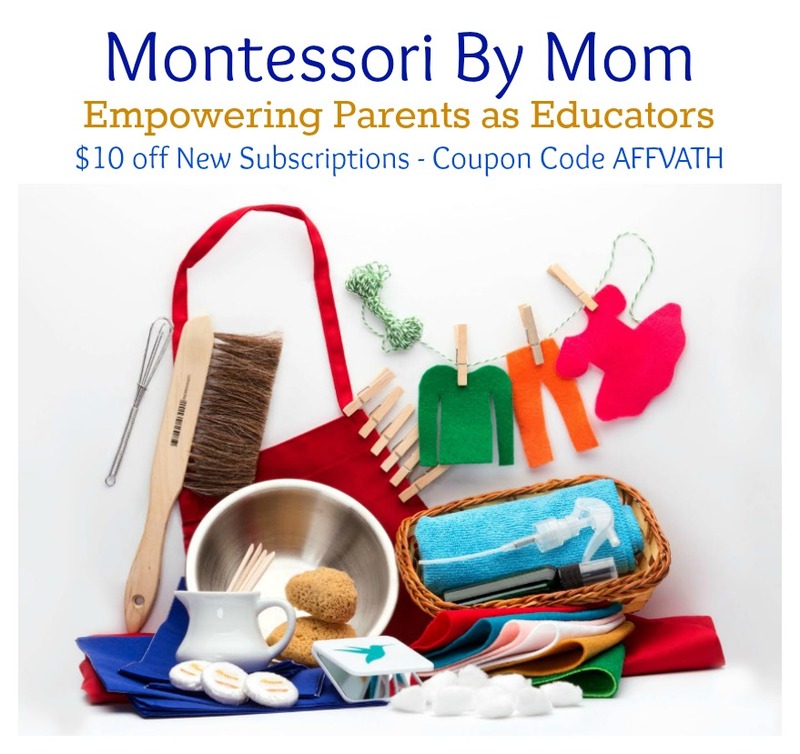 Before you proudly claim that your toddler already knows all his colors, read on – the researchers would inform the parents before the test that their child would be tested on colors that day, and parents were typically enthusiastic, stating that their child was quite good at colors. However, during the test, kids as old as six would make major errors in naming the colors. Two and three-year olds barely ever got them right. The article goes on to explain why color names are rather difficult to learn, and concludes with an important piece of advice. When introducing colors to your child, you can help your child by placing the name of the color after the noun instead of before it. So when you’re pointing out a red ball to your toddler, it helps to say ‘that ball is red’ instead of ‘the red ball’. (Read the full article here if you’re interested.) 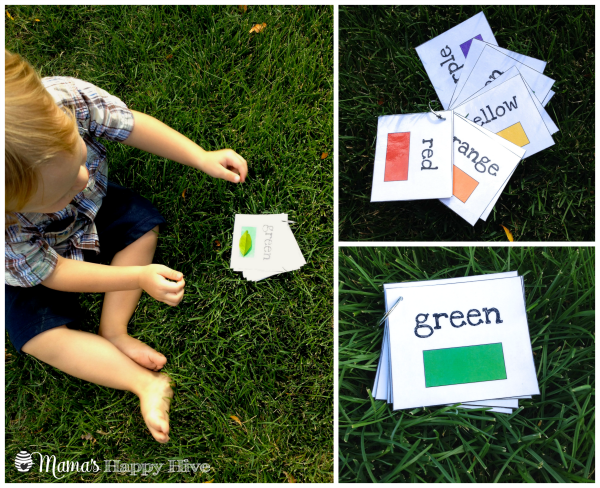 With this tip in mind, here are four great color learning activities for introducing colors to your toddler. 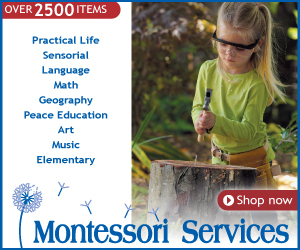 Each of these activities combines colors with another skill such as motor skills, sorting, sensory play, etc. Taking your kids on a nature walk is a great way to teach them to appreciate nature and help them improve their observation skills. It is also great for teaching colors. Before your walk, give your child a color card (use colors that are easy to find on your walk) and say the color out loud. Try to use a card that has the name of the color written on it. 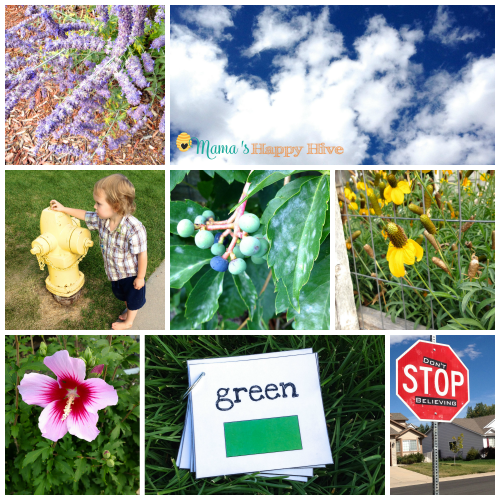 Ask your child to find all the things that are that color on your walk. Let your child take the card along, and provide help by pointing out objects that your child might miss. Each time you point out an object, say “this flower is red” or “that car is blue”, making sure to use the color word after the noun. The next day, repeat this activity with a new color. Sorting objects is an important pre-math skill. 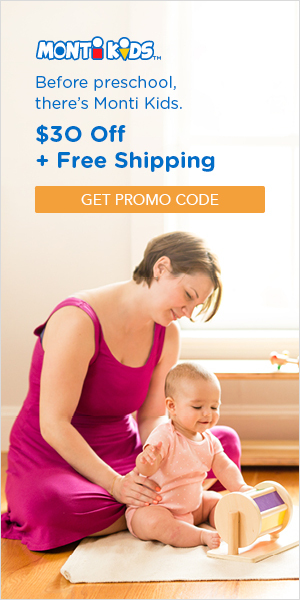 Help your toddlers with their math and colors by getting them to sort objects by color. 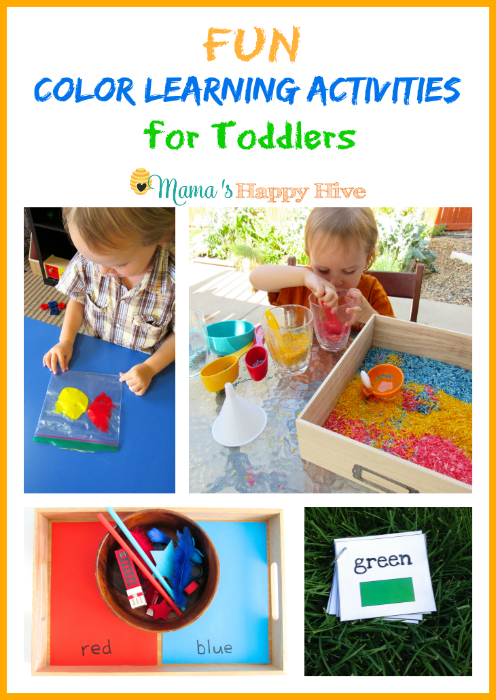 Keep the activity simple enough for your toddler to accomplish by setting out only two colors. Take two large sheets of colored paper with the name of the color clearly printed at the bottom of the sheet. 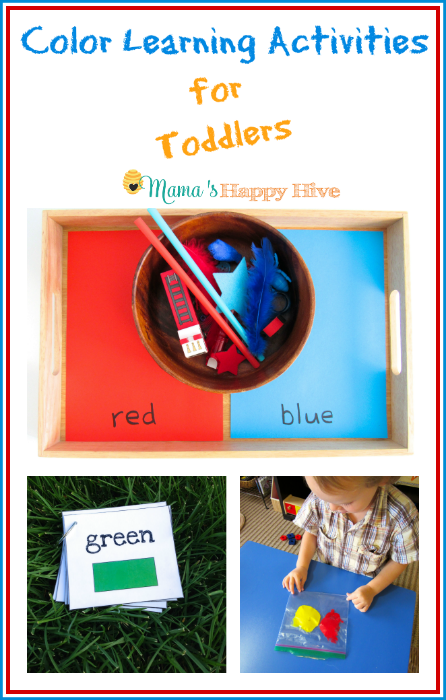 Lay out various objects of both colors and ask your toddler to put the items on the sheet that is the same color. 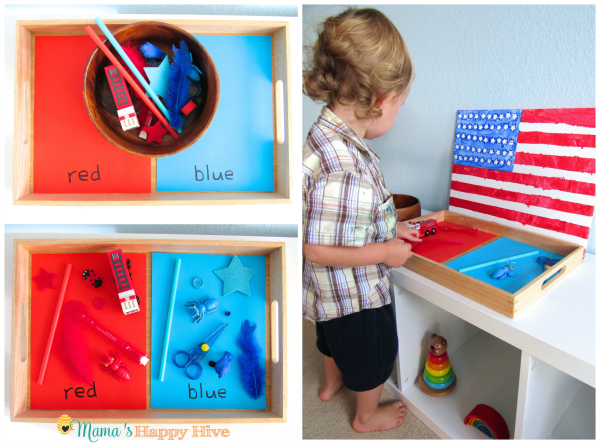 As your toddler sorts the items, you can verbalize his actions with sentences such as ‘This object is blue. This sheet is blue. They go together.’ Older kids can work with three or more colors at once. Color some rice by mixing one cup of rice with half a teaspoon of vinegar and some food coloring, and leaving the rice to dry. Once you have rice in various bright colors, you can use it for sensory play, which helps with the cognitive development of young kids. 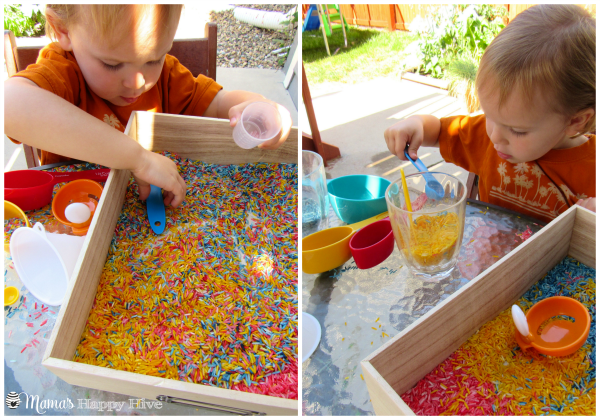 To throw in a lesson on colors, keep the colored rice in different bins and set out colored bowls for your child. 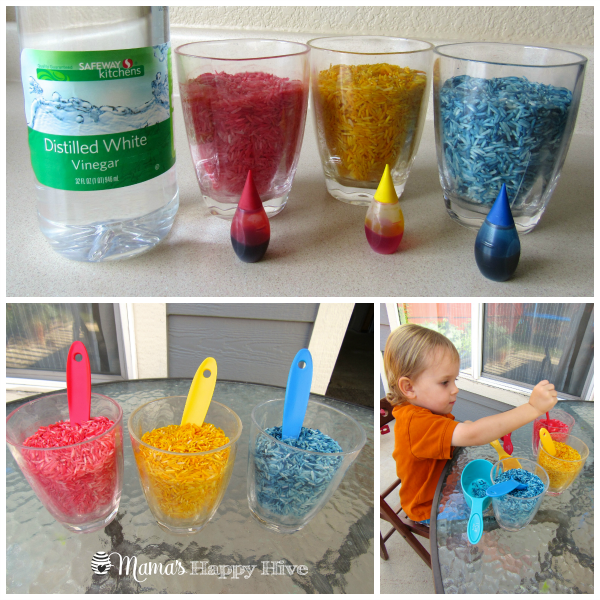 Give your child a cup and have him transfer all the rice from one bin to the bowl of the same color. When talking about the colored rice, remember to use the color word before the noun. When teaching toddlers colors, why stop at color names? Use this fun activity to show your child how various colors can be mixed to form new colors. 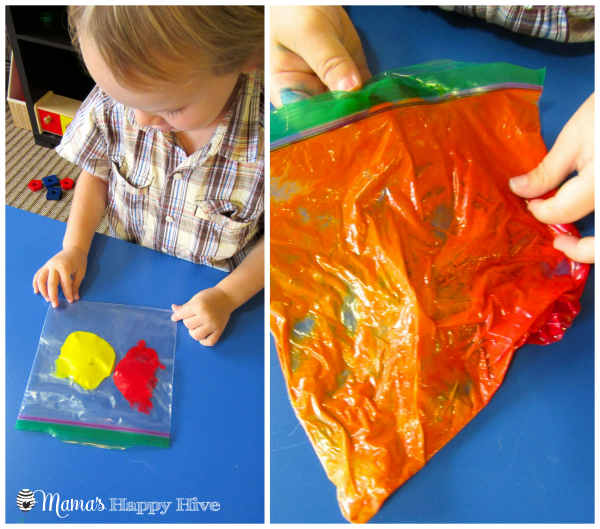 Take three ziplock bags and put a few teaspoons of tempera paint in two colors in each bag – blue and yellow in the first, red and blue in the second and red and yellow in the third. Make sure not to let the paint mix while you’re putting it in the bag. Seal the bags and give them to your child. 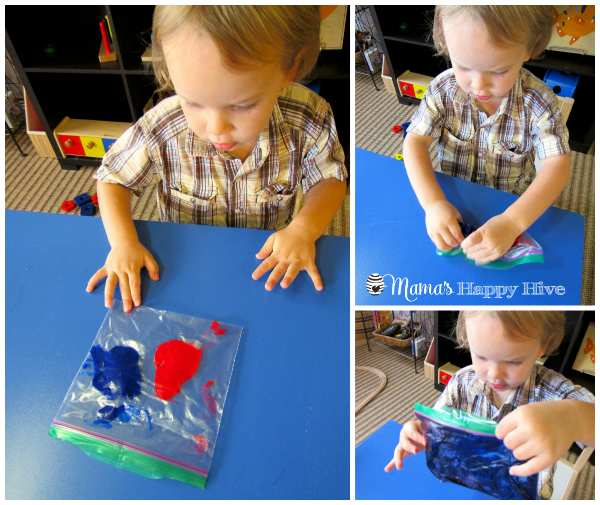 Mixing the colors is easy and fun – show your child how to move the paint around the bag using his fingers! 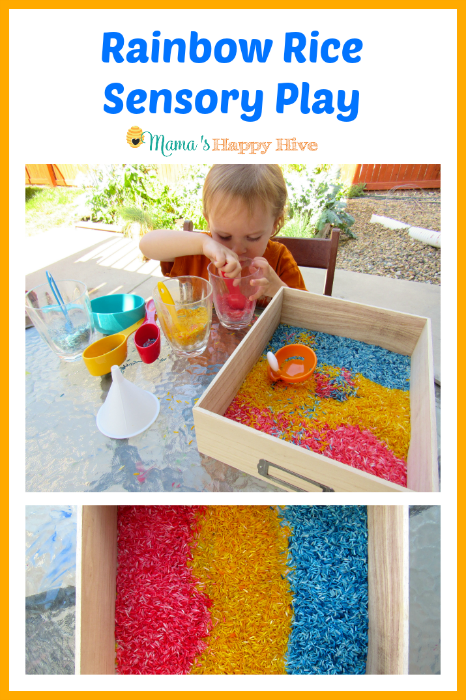 This activity serves as sensory play while also imparting lessons in color theory. 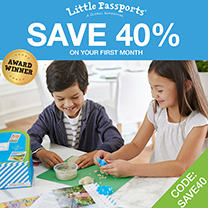 I hope you and your toddler have fun with colors! 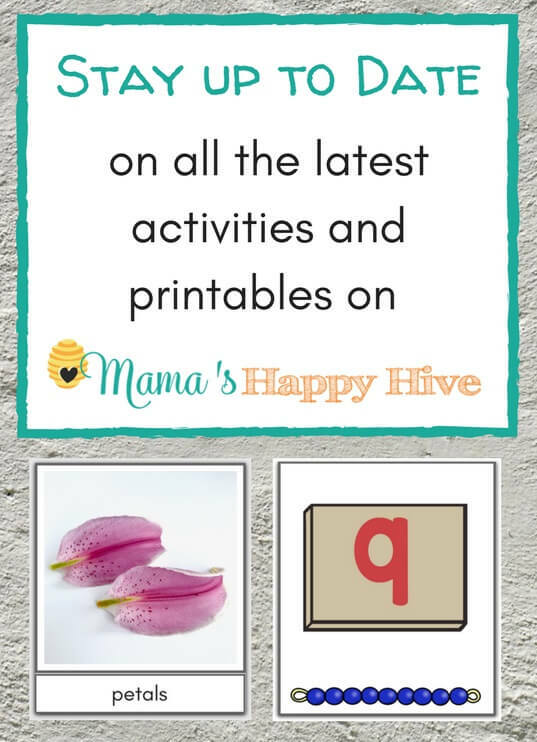 Follow Mama's Happy Hive's board Rainbow Colors Learn & Play on Pinterest. 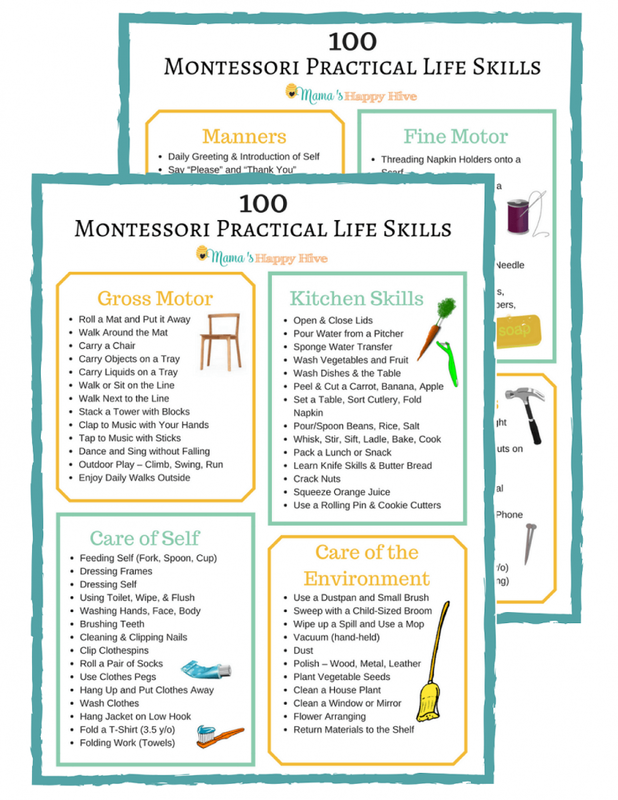 Absolutely love these tips and ideas. Will definitely have to try some of them with my 3 year old! LOVE the color theory for toddlers activity! Simple and sensory! 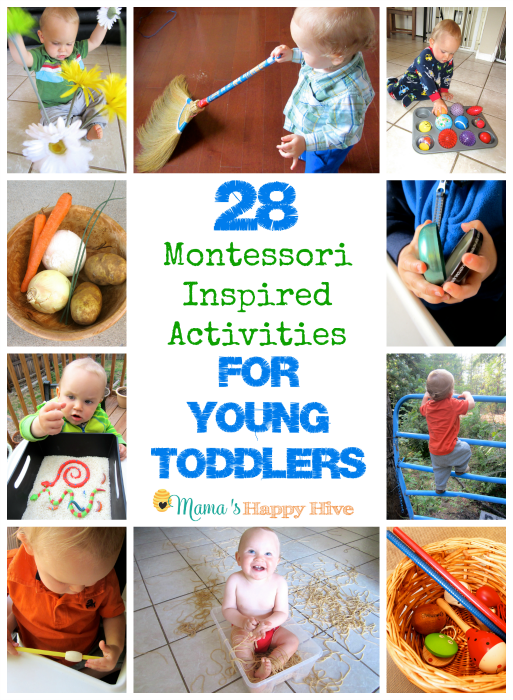 These activities were SO much fun to do! I’m SO glad the two of you enjoyed these activities so much! 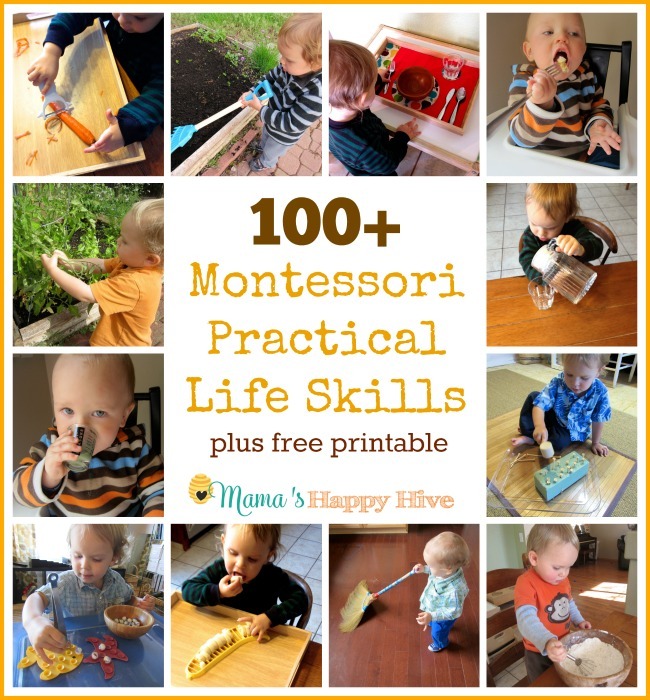 In fact, when I was writing this post I wondered several times whether the instructions were clear enough and whether readers would be able to tell how fun these activities would be – your photos clearly make up for what I couldn’t convey in words. Thank you for accepting my post and embellishing it with wonderful photos! I’ve never been this excited to share my guest post before!